Become aware of your thoughts. If you find yourself think negatively all the time, the negative thoughts may become your reality. If you are having negative thoughts, try to recognise this thought forming in your brain. Remind yourself that the thought is just that, a thought! Once you have recognised that your brain is creating negative thoughts, try and become aware of your body’s reactions. Take a slow, deep breath in and a long slow breath out. 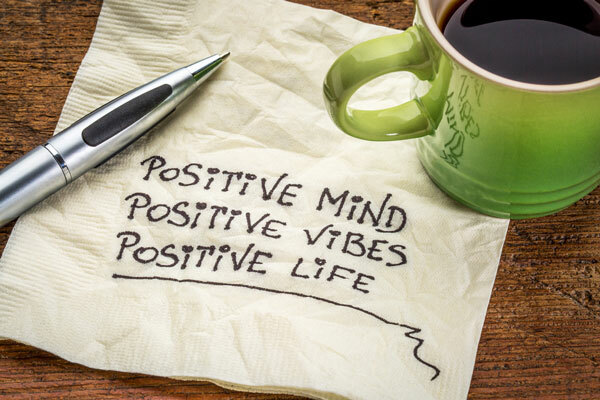 Once you have separated yourself from your negative thought, try and focus on something positive. Choose 1-3 things that you are grateful for in your life and take a moment to appreciate them. Practicing mindful and gratitude on a regular basis are great tools to increase happiness!